There’s nothing like that spray of salty air, open seas and several hundred horsepower to make one think: And they pay me to do this?? Just a thought looking at some images released this month as the California-based 11th Marine Expeditionary Unit and the Navy’s Makin Island Amphibious Ready Group boarded a pair of ships and got underway for their first at-sea integration exercises ahead of a scheduled overseas deployment later this year. The boat crews supporting the training mission against mock pirates on a vessel near San Clemente Island operated off the transport dock ship New Orleans, which will deploy with dock landing ship Pearl Harbor and big-deck amphibious assault ship Makin Island (preparing for its maiden operational deployment). 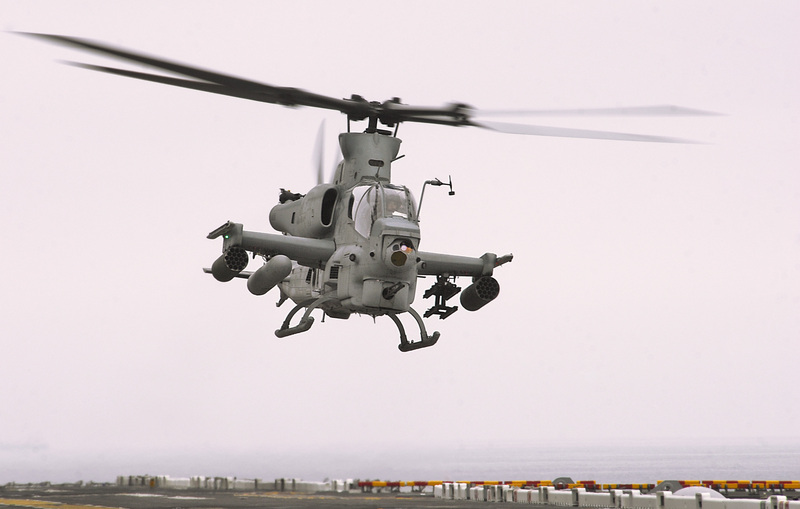 The exercise is the first of a trio of blue-green training geared to getting the MEU’s 2,200 Marines their sea legs and the shipboard sailors used to working, operating and living alongside their greenside partners. 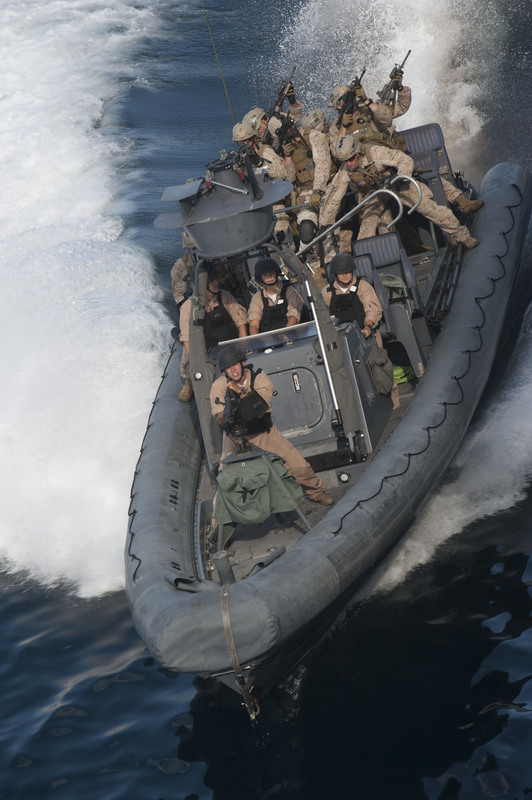 While last year’s takedown of gun-toting pirate hijackers by the 15th MEU’s raid force cast a bright public spotlight on counter-piracy missions, such maritime interdiction operations are far from new missions for leathernecks, or sailors (and SEALs) for that matter. But they remain a curiosity for many who aren’t part of the maritime force that includes the sailors operating the boats (special warfare combatant craft crewmen) along with supporting air and sniper coverage.